Product prices and availability are accurate as of 2019-04-22 20:22:05 UTC and are subject to change. Any price and availability information displayed on http://www.amazon.com/ at the time of purchase will apply to the purchase of this product. 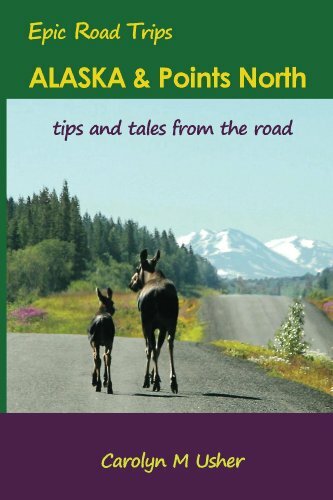 Part travel tale, part travel guide, Alaska & Points North pulls readers onboard for the ultimate North American roadtrip: north to Alaska through British Columbia, the Yukon and Northwest Territories. INCLUDED: Alaska Hwy, Denali National Park, Dempster Hwy to Inuvik, Dawson City, Whitehorse, the Stewart Cassiar Hwy, Kenai Peninsula, Prince William Sound, Atlin, Telegraph Creek, Stewart Hyder, Haida Gwaii (Queen Charlotte Islands) and the Haul Raod (Dalton Hwy) to the Arctic Ocean made famous by the Ice Road Truckers. A great read for armchair travelers, the book also provides everything a reader needs to plan their own adventure: routes, road conditions, RV rental and camping information, sites to see, how to contend with bugs, bears and what to do if you accidentally kill a grizzly. All the contact and info details are detailed as well as maps and photos.